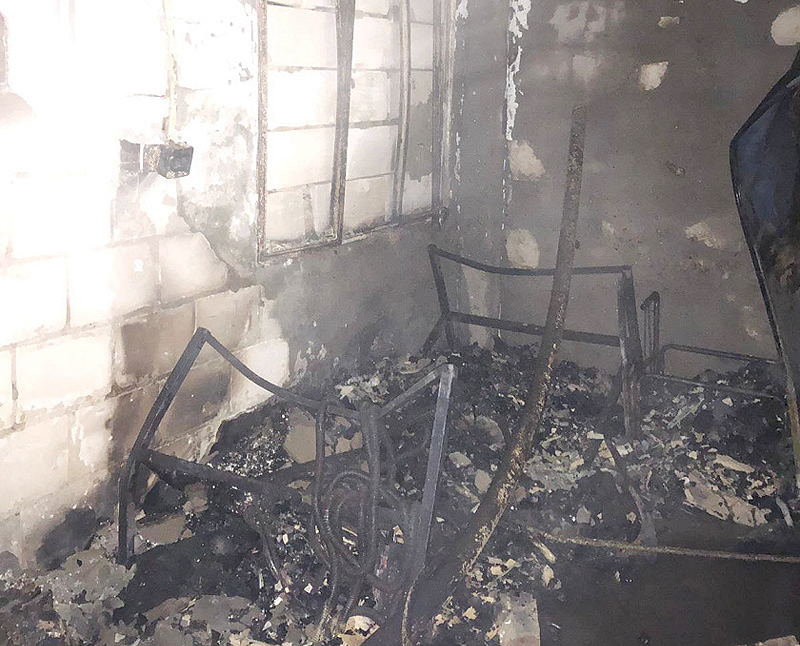 KUWAIT: Damage seen inside the labor residence after the fire was extinguished. KUWAIT: Firemen fought a blaze in room at a company’s labor residence. Mina Abdullah firemen found the fire had gutted the room following a gas leakage. The building was evacuated and the fire was put out without any injuries. Nuwaiseeb customs officers foiled a passenger’s attempt to smuggle two pieces of hashish and illicit tablets into the country. Meanwhile, the Public Authority for Food and Nutrition destroyed 11 tons of spoiled fish that arrived from Iran.